HAWAIʻI ISLAND - The new cases bring the statewide total for 2018 to nine confirmed cases, and the first confirmed case for 2019, health officials say. (BIVN) – The Hawaiʻi Department of Health today announced it has confirmed two new cases of rat lungworm disease, or angiostrongyliasis, both contracted on Hawai‘i Island. One of the cases was an adult visitor who became ill last year after a vacation in North Hawaiʻi, health officials say. Health officials recently learned about an adult visitor to the state who had been vacationing in North Hawai‘i last year. The visitor became ill in late December 2018 and was not diagnosed until they were hospitalized for their symptoms when they returned to the mainland. Confirmatory testing was conducted by the Centers for Disease Control and Prevention (CDC). The individual was hospitalized for a short time and has since recovered. The adult visitor was the seventh person from Hawai‘i Island who tested positive for angiostrongyliasis in 2018, bringing the statewide total to nine confirmed cases last year. The second confirmed case was an adult resident of East Hawaiʻi. The individual became ill in January and was hospitalized in early February for treatment of their symptoms. Laboratory testing though DOH’s State Laboratories Division confirmed the individual’s infection. This is the first case of rat lungworm disease confirmed in Hawai‘i for this year. It is unknown at this time exactly how or where the individuals became infected, the health department says. A detailed investigation is underway to learn more. Last week, a known vector for rat-lungworm disease – the invasive semi-slug, Parmarion martensi – was found in North Kohala for the first time. Staff from the University of Hawaii-Hilo Daniel K. Inouye College of Pharmacy confirmed the find. 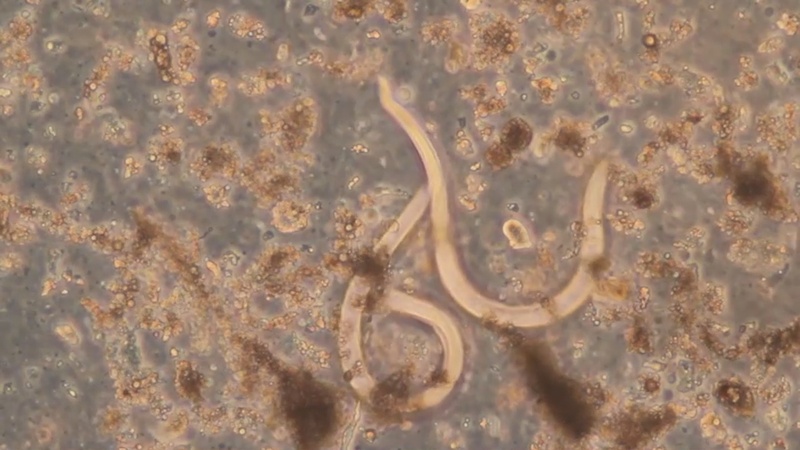 Angiostrongyliasis, commonly known as rat lungworm disease, is caused by a parasitic roundworm and can have debilitating effects on an infected person’s brain and spinal cord. In Hawai‘i, most people become ill by accidentally ingesting a snail or slug infected with the parasite Angiostrongylus cantonensis (A. cantonensis). Symptoms vary widely between cases, and the most common ones include severe headaches and neck stiffness. The most serious cases experience neurological problems, severe pain and long-term disability.